This silky-nectar, anti-wrinkle serum fortified with a triple collagen complex provides a visible line-filling effect by infusing dry skin with intense moisture and lasting resilience. It offers three different paths to collagen refurbishment by increasing the skin's own collagen production (via soluble collagen), strengthening it (via a collagen boosting peptide and botanical extracts), and safeguarding it (via collagen protective factors). Smooths the skin while acting as a protective barrier against oxidative stress. Boosts vital skin functions and revitalizes cellular metabolism. Water/Eau, Glycerin, Pentylene Glycol, Soluble Collagen, Sodium Hyaluronate, Sodium Lactate, Algae Extract, Palmitoyl Pentapeptide-4, Argania Spinosa Sprout Cell Culture Extract, Hydrolyzed Soy Protein, Hydrolyzed Wheat Gluten, Ceratonia Siliqua Gum, Sodium Hydroxide, Porphyridium Cruentum Extract, Lecithin, Pullulan, Hydroxypropyl Methylcellulose, Imidazolidinyl Urea, Isomalt, Sodium Dextran Sulfate, Biosaccharide Gum-1, Ricinoleth-40, C13-14 Isoparaffin, Carbomer, Menthoxypropanediol, Polyacrylamide, Butylene Glycol, Phenoxyethanol, Sorbic Acid, Hydroxyisohexyl 3-Cyclohexene Carboxaldehyde, Potassium Sorbate, Sodium Benzoate, Laureth-7, Benzyl Salicylate, Fragrance, Polysorbate 20, Citric Acid, Ethylhexylglycerin. HYALURONIC-ACID: known to improve the skin’s density and resilience. This low molecular weight hyaluronic acid has a reduced molecule size that facilitates its delivery and enhances its penetration across the skin barrier, providing an immediate and long-term filling effect. OCEAN-MATRIX COMPLEX: comprised of polysaccharides from botanical origin and a lyophilisate from the red algae (Porphyridium cruentum) is optimized to give a tightening effect that is intense and immediately perceivable. It also offers remarkable skin smoothing effects reducing roughness while acting like a protective barrier against oxidative stress. Apply the serum, day and/or night over the face and the neck. It may be used before any Luxe-Lift cream, or any other daily moisturizer. Using this mixed with a Chanel cream; it is silly what people do just apply one product after another, much better a few drops mixed in the cream and applied all same time. At least for me works, like Swiss line serums very much already tried another that was also nice. Before using Cell Shock Anti-Wrinkle serum triple collagen complex my skin was pigmented and uneven. After using this product for about 3 weeks( morning and evening) I noticed that my face is more clear, less pigmented and skin looks definitely better. Also I enjoy the flower scent and light texture. The Cell Shock 360º Anti-Wrinkle Serum Triple Collagen Complex by Swiss line is a must have! I have fine lines on my forehead and dehydrated skin, before the problem gets worse, taking a step to combat this is a must! Cell Shock 360 has lived up to it's name, only after 3 weeks of usage, I saw a significant change in skin texture. I felt my skin was more hydrated and smoother, hence the fine lines were not as visible. Especially after a day with makeup, fine lines tend to be more obvious, but not after using the serum! The fine lines has not completely vanished but it has certainly helped tremendously compared to most serums I've used out in the market. The serum comes in an easy-to-use pump bottle and the serum absorbs quickly into the skin without leaving a sticky feeling on the skin. Swiss line Cell Shock 360º Anti-Wrinkle Serum Triple Collagen Complex is just AWESOME! I love every single bit of it, from the packaging to the product itself. 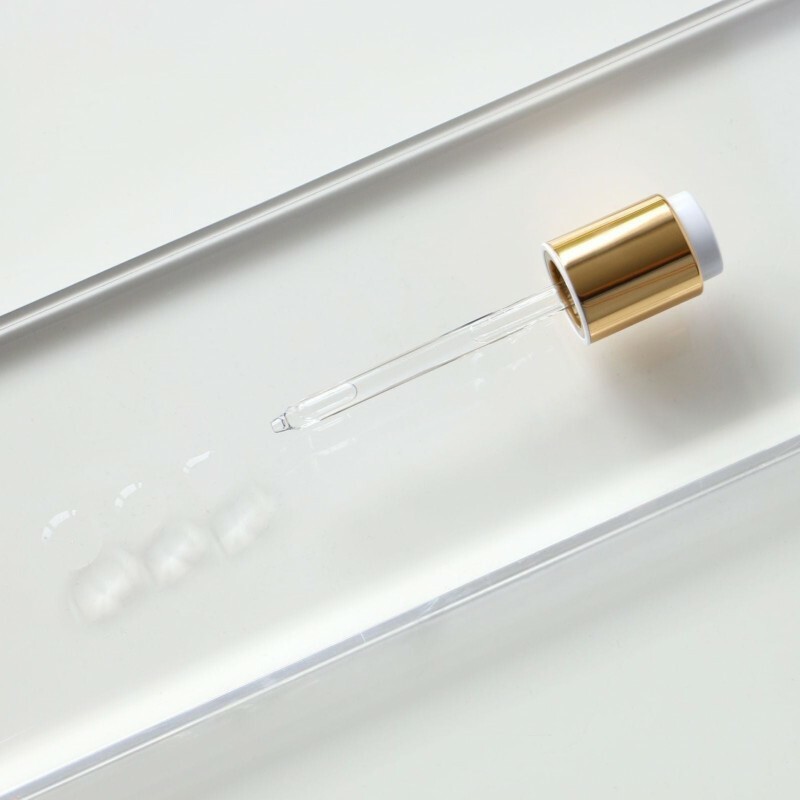 First of all, Swiss line Cell Shock 360º Anti-Wrinkle Serum Triple Collagen Complex is packaged in a ‘Gold box’ and gold bottle. I like that Swiss line is so thoughtful to put a see through panel to monitor the leftover serum in the bottle, as well as the switch open dispenser, it’s so advance that it will pull out just the right amount for each time usage. Swiss line Cell Shock 360º Anti-Wrinkle Serum Triple Collagen Complex has light scent which I like, and it’s transparent fluid is absorbed quickly into my skin. I have very deep necklines due to lack of taking care in the past, and you know what, Swiss line Cell Shock 360º Anti-Wrinkle Serum Triple Collagen Complex has lighten my necklines in just a few times of application. Now that I’ve use it continuously for 3 weeks, I am happy to show my necklines to everyone. My girlfriends have noticed it and have been asking me the secret of it. I’ve shared with them the great product, Swiss line Cell Shock 360º Anti-Wrinkle Serum Triple Collagen Complex. I believe it’s not only suitable for aging women, indeed every woman who is beyond 25 years old should use this serum to combat the sign of aging. I am totally loving this European style anti-aging serum. First of all, I like the luxurious gold package with the see through panel that allows you to see how much of the serum you have left in the bottle and i LOVE the callibrated product dosing so that each time you open it, the dropper dispenses the exact amount of serum that you need for your face-Brilliant! I also really like the slightly clean floral scent that transports me to a luxurious European Spa. This product has a gorgeous, silky texture and it absorbs instantly into your skin making your face supple, smooth and hydrated. And the next morning, your skin looks refreshed and more youthful. I have been using this fabulous product about a month, and I have noticed a softening of fine lines, a softer and smoother texture and an overall more lifted appreance of my face and neck. My skin just drinks up this serum and the results are totally noticeable-I definitely look younger and rejuvenated! I would highly recommend this product if you are looking for a luxurious anti-aging serum to rejuvenate your skin, to protect against environmental stress and give you a more youthful appearance. This serum is a treat for your skin & your senses and definitely worth the splurge!